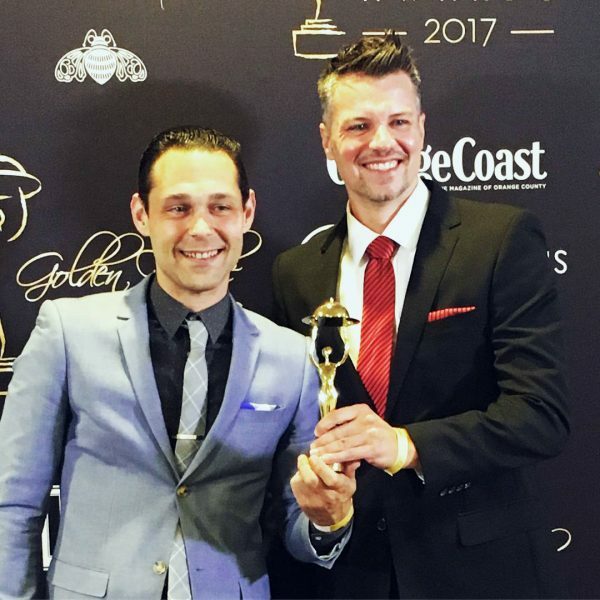 Selanne Steak Tavern in Laguna Beach received best service award at the annual Golden Foodie ceremony last week in Newport Beach. The people’s choice food awards recognize excellent restaurants, chefs and bartenders in the hospitality industry. Nominations are made online and voting is done by industry professionals, avid restaurant devotees and others. Selanne has won four other awards in the past six years. Recognition shows the devotion and professionalism of our staff,” says co-owner Teemu Selanne in a statement. Award-winning chef Michael Mina plans his sixth Bourbon Steak Restaurant at Monarch Beach Resort in Dana Point opening next February, says company announcement. The new restaurant will replace Stonehill Tavern, which is due to serve its last meal on Dec. 31. Bourbon Steak is known for serving prime meat cooked in Mina’s signature style, first poached in butter and then finished on the grill. Mina Group says ingredients will be sourced from local farmers and purveyors and beverages will include American and Japanese whiskeys and a vintage collection of bordeaux, burgundy and California classics.